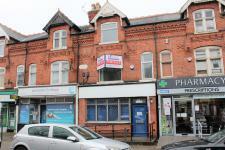 An ideal small investment opportunity with potentially ground floor commercial with first floor flat in the heart of Highfields. 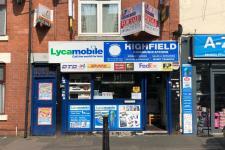 Ace Properties Chartered Surveyors are pleased to present this ground floor shop with flat above for sale in the highly desirable area of Highfields close to all local amenities. 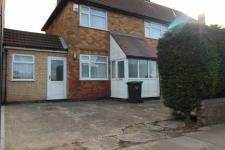 Ace Properties Chartered Surveyors are delighted to offer this three bedroom semi-detached house, located in the popular area of Evington, close to all local amenities. The accommodation comprises of an entrance porch leading to entrance hallway, WC, front lounge, family lounge and a large extended fitted kitchen/diner on the ground floor. Additionally, a shower room which benefits from disability facilities has been built and the garage has been converted into a store/utility room. The first floor comprises of two double sized bedrooms, one single bedroom and a family shower room. To the front elevation there is a slabbed fore-court leading to a driveway. The rear consists of a large sized garden which benefits from a large patio garden with a wooden shed. Property also benefits from gas central heating and UPVC double glazing. Viewing Is Highly Recommended. 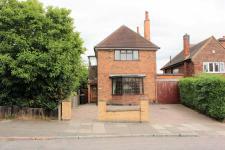 Ace Properties Chartered Surveyors are delighted to offer this four bedroom detached house, located in the popular area of Evington. close to local amenities. 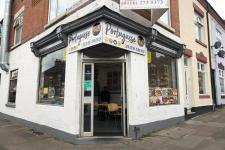 The property would make an ideal investment or first-time buyers. Accommodation comprises of an entrance porch leading to entrance hallway, WC, front lounge, family lounge and a large extended fitted kitchen/diner on the ground floor. First floor comprises of two double sized bedrooms and two single bedrooms and a family shower room benefiting from disability facilities To the front elevation there is a slabbed fore-court and to the side elevation there is a gated entry leading to a driveway with ample parking space for two cars which also leads to the rear garden which benefits from a large patio garden with a wooden shed. Property also benefits from gas central heating and UPVC double glazing. Viewing Is Highly Recommended.